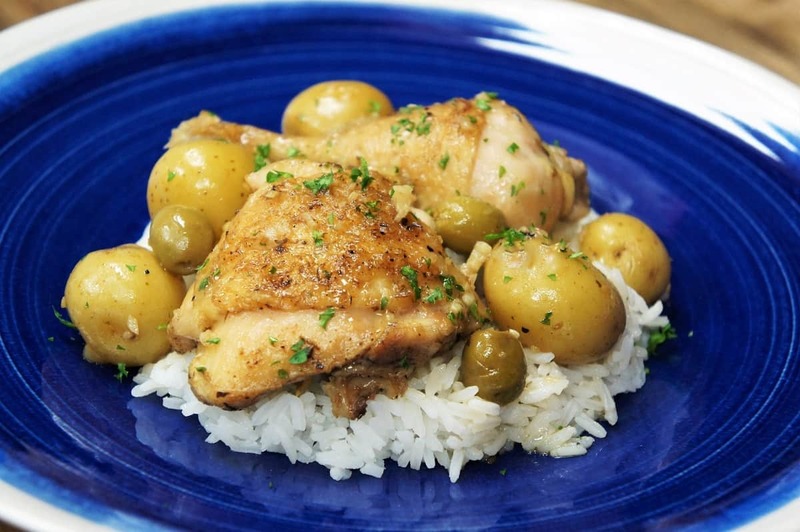 White chicken fricassee is a different take on the Cuban classic, fricase de pollo – chicken fricassee which is a Cuban-style chicken stew. This is basically the same recipe, with a little tweak; we substitute chicken broth for the tomato sauce. The result is a whole new dish, with a completely different flavor. 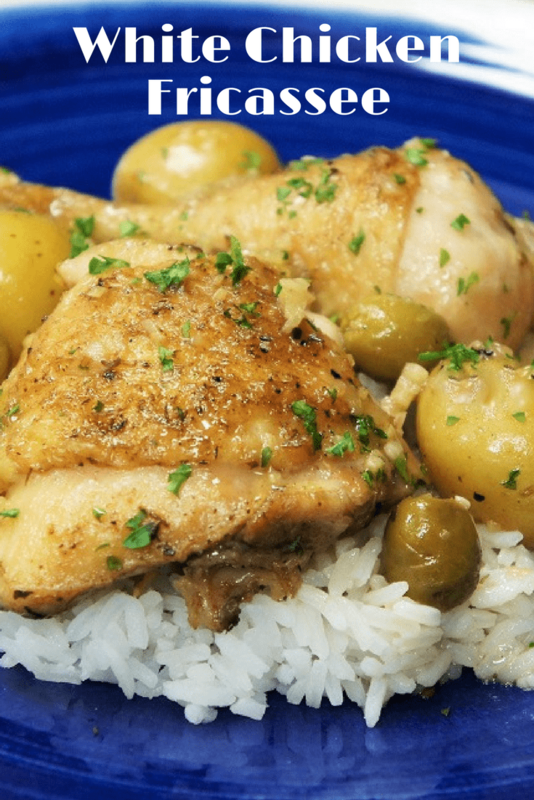 It’s just as easy to make as a traditional fricassee, which is great for busy nights. 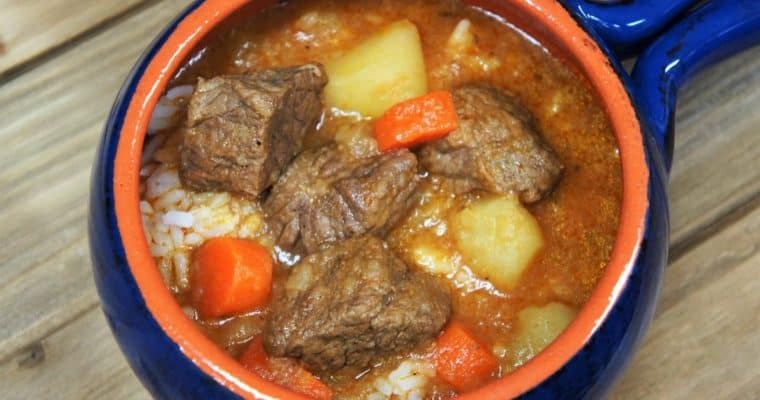 If you want to try another Cuban classic try this carne con papas recipe. Enjoy! Add the salt, cumin, oregano and black pepper to a small bowl, stir to combine. Sprinkle the chicken on both sides with the prepared seasoning mix. Heat the olive oil in a large, deep skillet or a large pot over medium heat, add chicken. Cook the chicken for about 10 minutes – about 5 minutes per side. Remove the chicken from the skillet onto a plate and keep warm. Tent the chicken with aluminum foil, and/or put the plate in the microwave – the chicken will stay warm away from drafts. Note: The chicken will not be cooked through; it will finish cooking in the sauce. Add the onions to the skillet. Cook the onions about 2 minutes until translucent, stirring frequently. Next, add the garlic and cook for about 1 minute, stirring constantly. Deglaze the pan with the wine, stir, while gently scrapping all the bits off the bottom of the skillet. Cook until the liquid has evaporated – about 2-3 minutes, stirring frequently. Add the chicken broth and the bay leaf to the skillet and stir. Add the chicken back to the skillet (including any juices collected on the plate) when the sauce comes back to a simmer, lower the heat to medium-low and cover. Cook, at a simmer, for 10-12 minutes. If the liquid is boiling too vigorously lower the heat a bit. It’s important that the liquid doesn’t cook out; you need it to finish cooking the chicken and the potatoes. Uncover the skillet; give the sauce a quick stir. Add the potatoes and olives. Cover the white chicken fricassee and cook, (simmering) on medium-low heat, another 15-20 minutes until the potatoes are fork tender and the internal temperature of the chicken is at least 165°F, stirring occasionally. Remove and discard the bay leaf. Garnish with parsley, if desired. Serve the white chicken fricassee with white rice. Enjoy! 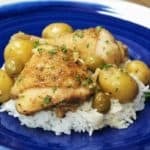 White chicken fricassee is a different take on the Cuban classic, fricase de pollo which is a Cuban-style chicken stew. This is basically the same recipe, with a little tweak; we substitute chicken broth for the tomato sauce. Heat the olive oil in a large, deep skillet or a large pot over medium heat, add chicken. Cook the chicken for about 10 minutes – about 5 minutes per side. Remove the chicken from the skillet onto a plate and keep warm. Add the onions to the skillet. Cook the onions about 2 minutes until translucent, stirring frequently. Next, add the garlic and cook for about 1 minute, stirring constantly. Add the chicken broth and the bay leaf and stir. Add the chicken back to the skillet (including any juices collected on the plate) when the sauce comes back to a simmer, lower the heat to medium-low and cover. 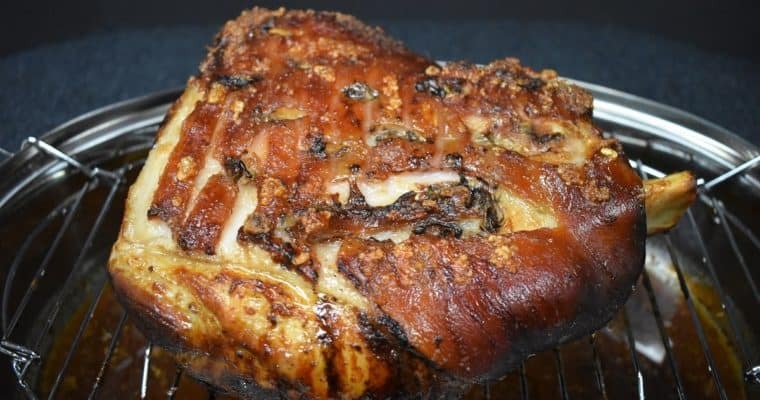 Cook, at a simmer, for 10-12 minutes. If the liquid is boiling too vigorously lower the heat a bit. It’s important that the liquid doesn’t cook out; you need it to finish cooking the chicken and the potatoes. Uncover the skillet; give the sauce a quick stir. Add the potatoes and olives. Cover and cook, on medium-low heat, another 15-20 minutes until the potatoes are fork tender and the internal temperature of the chicken is at least 165°F, stirring occasionally. Remove and discard the bay leaf. Garnish the chicken fricassee with parsley, if desired. Serve the white chicken fricassee with white rice, if desired.